When you need a hotel or when wanderlust strikes, why wait until you get back to your computer to start planning your next trip? 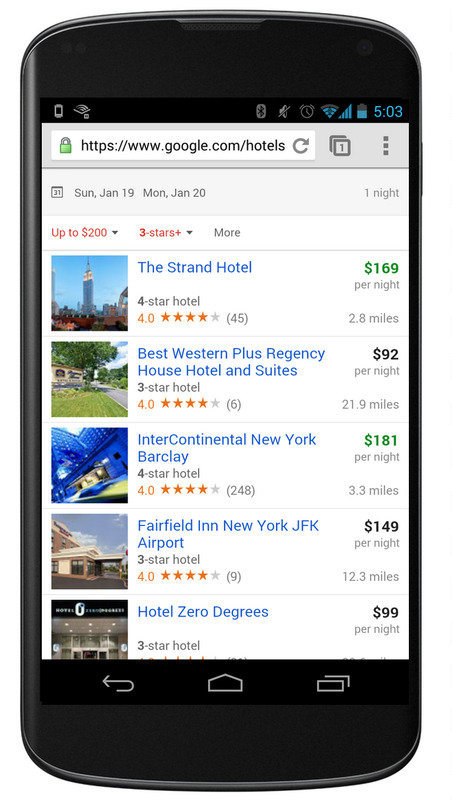 Hotel Finder now makes it easier to find and book a hotel right from your phone. Tip: Good deals on hotels are highlighted in green. On your phone, go to www.google.com/hotels and search for your destination. You can filter the search results by price, hotel class, user rating and distance. Select a hotel to learn more: photos, hotel amenities, reviews and its location on a map can all be conveniently accessed from the same page. You can also save hotels that appeal to you into a short list for easy comparison by pressing the star. Once you find the perfect match, you can quickly book your hotel through any of our booking partners. 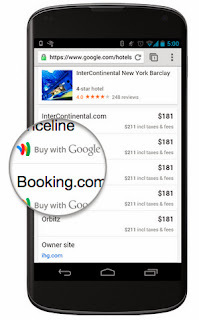 To save you more time, you can also complete the reservation with a few clicks using Google Wallet: Just look for the “Buy with Google” icon for a booking partner that allows you to easily and securely pay with Google Wallet. This will leave you more time to worry about what to pack. If you don’t have a Google Wallet account, don’t worry. You only need to enter the payment details once when booking your first hotel. Google Wallet saves your information securely so you don’t need to re-enter it every time. Hotel Finder is available on your smartphones and desktop in more than 100 countries. 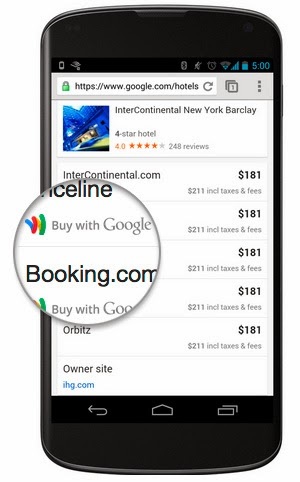 The Google Wallet booking feature is currently available in the U.S. for stays within the country, but we hope to expand more broadly soon. To learn more, please visit our help page.